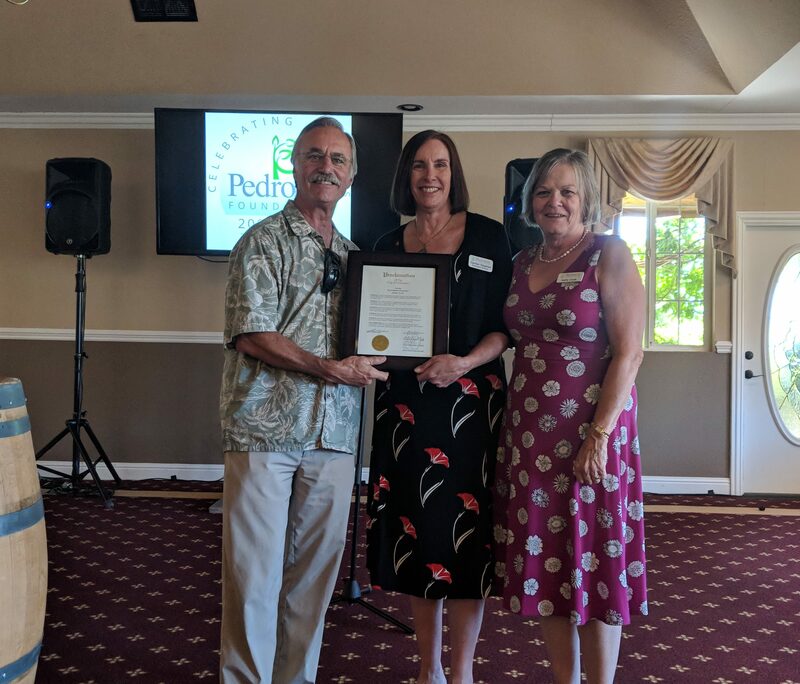 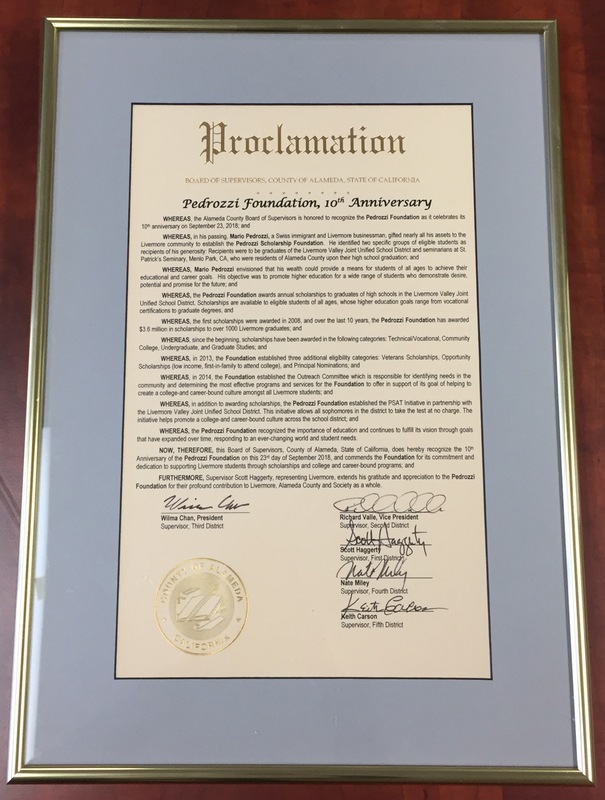 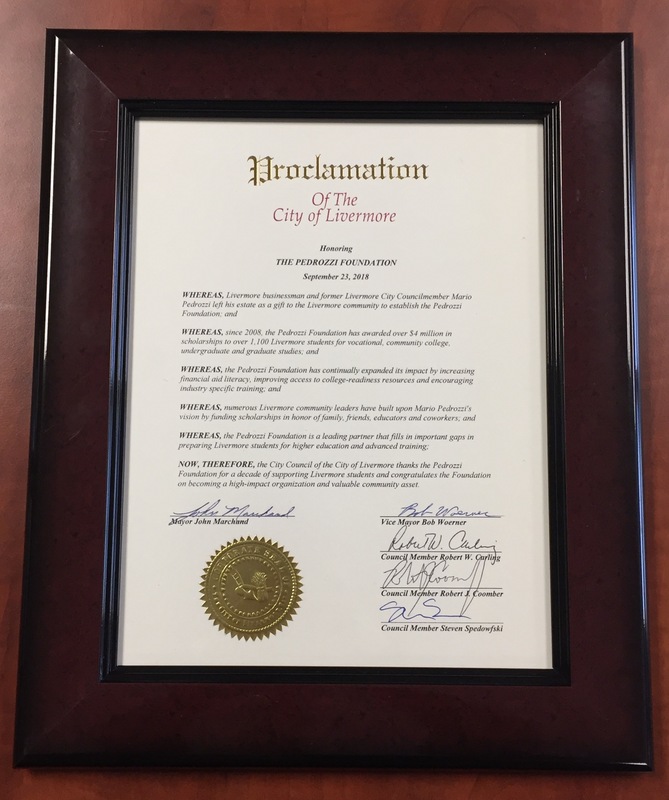 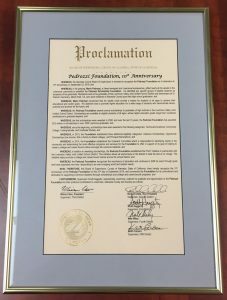 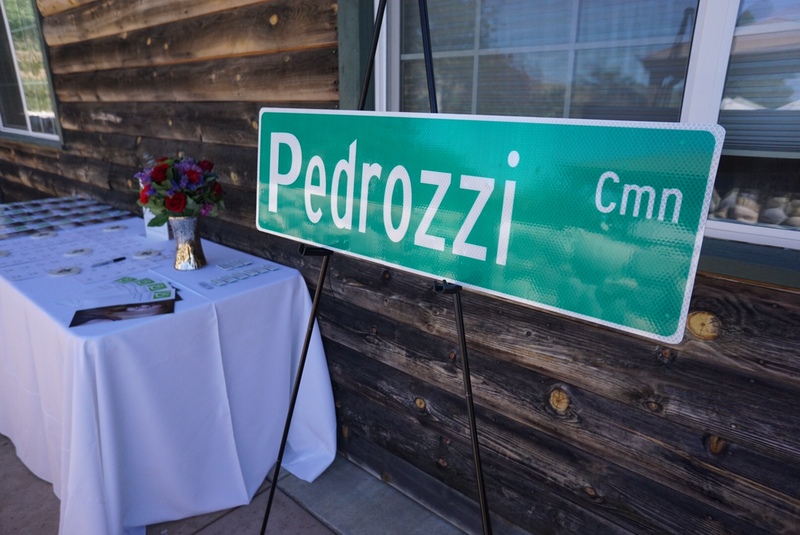 The Alameda County Board of Supervisors, represented by Shawn Wilson, presented a Proclamation to the Pedrozzi Foundation at the 10-Year Anniversary event in September 2018. 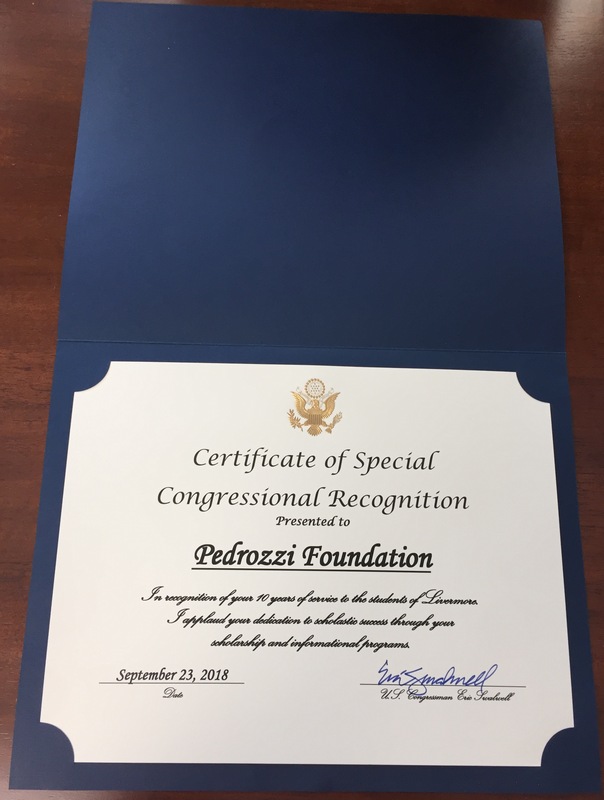 Whereas, the Pedrozzi Foundation recognized the importance of education and continues to fulfill its vision through goals that have expanded over time, responding to an ever-changing world and student needs. 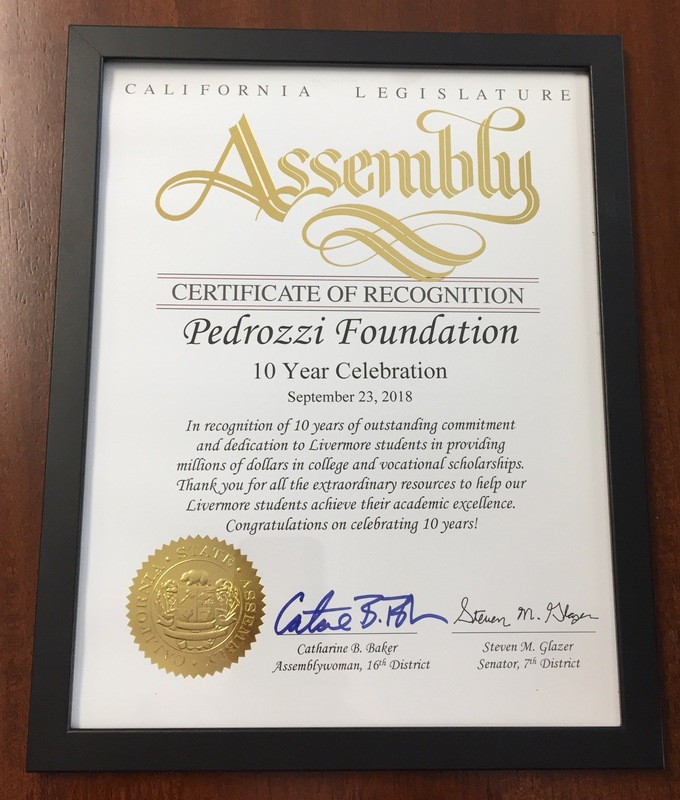 Celebrating 10 Years of Changing Lives!